Foraging persists as a viable economic strategy both in remote regions and within the bounds of developed nation-states. Given the economic alternatives available, why do some groups choose to maintain their hunting and gathering lifeways? 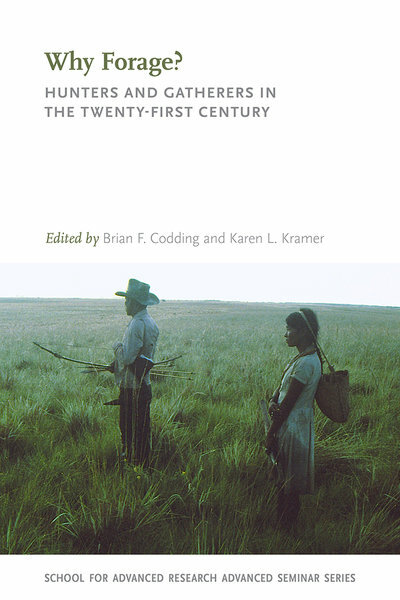 Through a series of detailed case studies, the contributors to this volume examine the decisions made by modern-day foragers to sustain a predominantly hunting and gathering way of life. What becomes clear is that hunter-gatherers continue to forage because the economic benefits of doing so are high relative to the local alternatives and, perhaps more importantly, because the social costs of not foraging are prohibitive; in other words, hunter-gatherers value the social networks built through foraging and sharing more than the potential marginal gains of a new means of subsistence. Why Forage? shows that hunting and gathering continues to be a viable and vibrant way of life even in the twenty-first century. Chapter One: Diversify or Replace: What Happens to Wild Foods when Cultigens Are Introduced into Hunter-Gatherer Diets? Chapter Two: Inuit Culture: To Have and Have Not; or, Has Subsistence Become an Anachronism? Chapter Five: Why Do So Few Hadza Farm?